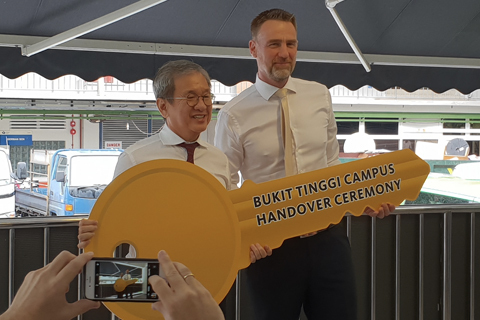 On 1 August 2018, Chatsworth received the keys from German European School Singapore (GESS) to our new Bukit Timah Campus in a Handover Ceremony. A small and intimate affair, it is indeed symbolic and momentous as this marks a major milestone for both our schools. As a new kid on the block, we look forward to collaborating with our neighbours toward the vibrancy of the neighourhood and community and exciting times ahead. Cheers to an awesome occasion and thank you to GESS for organising the ceremony!